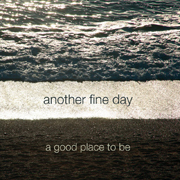 The top track on A Good Place to Be (60'00") is a familiar jazz classic, and will prove to be a most welcoming introduction to the more conventional listener. Once engaged, Another Fine Day (the music project by Tom Green) gently leads this audience down to a realm where the rest of us already are. One after another the 12 tracks unreel in a gradually disintegrating jazzy-dream style. Green's piano is the heart of A Good Place to Be. He shows it to be capable of the ultimate delicacy, and combined with an occasional super laid back beat machine, synth strings and reeds, leslie organ, and various electronic accents and inflections, leads this beautiful work - flowing and glowing - into some unknown gulf of night. Outsiders will have to learn how to experience this music, to be still, to listen. The quieter pieces are of a realm dictated by moments, and not nano-seconds. Green spends these sections of A Good Place to Be tranquilly finding out what his own voice sounds like. Here, time slips away and we fall deep into sonic fibers. In a mounting montage of sound floating tone clusters pass through the listening space, stirring to life the deeper feelings and emotions not so often noticed. There are also zones of lazy elektro-idyll, made substantial by Green's languorous and true melodic moves on the grand piano. A Good Place to Be is full of enchanted things. But, its best moment may be found at the point where its narrative line transfers from the hand of the player to the mind of the listener.